Pulp Possibilities opens this weekend at RedLine Milwaukee. 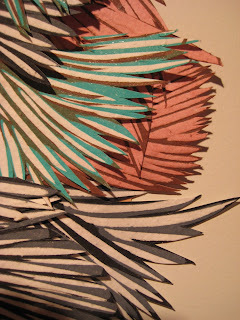 The reception is Friday March 4th 6-8pm and will feature demos and hands-on paper making activities. I will also be helping coordinate a drop-in workshop the next day involving creating and printing on handmade papers . This is a group show of RedLine resident artists and staff/community members (that's me! 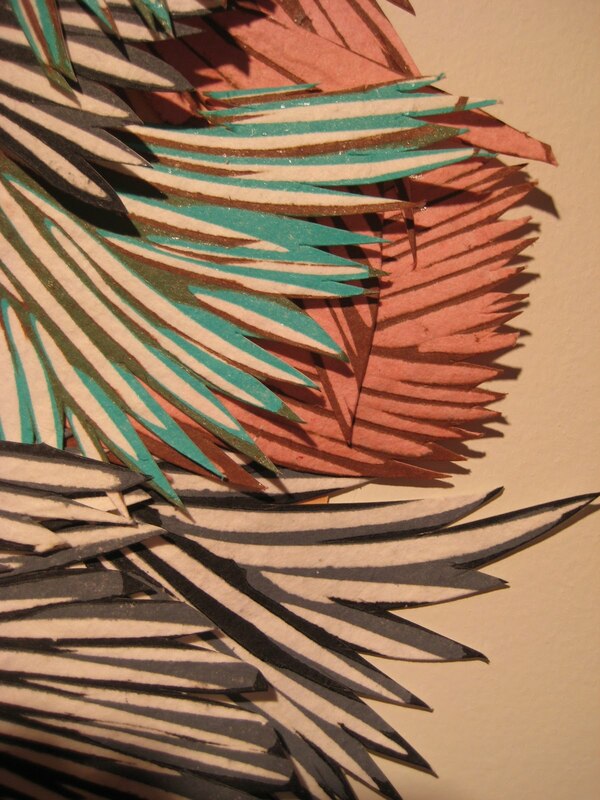 ), and each piece involves handmade paper elements created in our paper making studio, which opened last year. 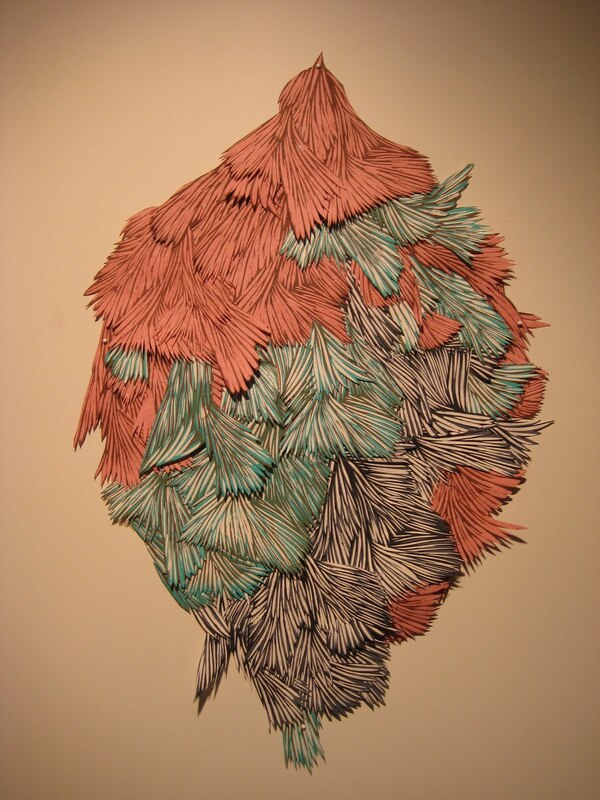 The show was curated by RedLine mentor artists Tori Tasch and Dara Larson . It is a BEAUTIFUL show and I can't wait to share some images of the work, but I'm waiting until after the opening. For now, here is a sneak peak of my piece in the show titled "Bag Worm". A bag worm is a type of moth that forms a case from it's surrounding vegetation. Most varieties of female bag worms never leave their cases. For this piece I used relief print on handmade paper, and some of the pieces of paper were cast wet directly into the relief block creating an embossed effect.